The aircraft landed at the airport of Cusco a bit awkwardly. At least, it was my impression. Because promtly after that, during the first phase of slowing down the speed, the machine began to sway in a way which was making me uncomfortable. It felt like the pilot would lose control every moment and the aircraft would get into a skid every moment. But maybe it was just the tiredness from the 10 hour flight from Europe to Lima and athe additional hour from Lima to Cusco which was making me too touchy. In total, it was a 17 hours trip. My advice to you, folks: In Peru you should always negociate because the people there usually expect negotiations and set the price habitually a bit higher. Besides that, as a tourist you should take only official taxis/cabs. Those are “Llama Taxis”. Although the official taxis are a little bit more expensive than inofficial taxis, I nevertheless recommend you to use them. Of course, you can also take a ride with unofficial taxis, but it could be a bit risky. The unofficial taxis are cheaper but as a tourist you could fall into a trap because you wouldn’t be able to distinguish a good one from a bad one. That’s why we took an official taxy from the Cusco airport. After we reached agreement about the fare, the driver started the engine and is bringing us now to the agency. During the ride, I am facing what I’ve seen from above. Several delapidated buildings; constructions which were started to erect but weren’t accomplished. Nevertheless, most of the buildings were in usage. As we driving past them, we see the different kinds of businesses inside. There were mostly banks, small shops, offices and small restaurants. Our travel agency is located close to Plaza de Armas which also represents the city centre (or downtown if you will). We found out, that the architecture here was in a much better condition than those buildings close to the airport area. The taxi turned into a narrow street and eventually stopped in front of a another inconspicuous building which is the headquarters of the travel agency. The employees at the agency welcome us friendly. First thing we are doing is some paper paperwork and paying for the Salkantay Trek. We booked the trek almost 9 months in advance and paid a deposit. Now we are paying the rest and get escorted into the next room which is more comfortable than the actual office. Here we are getting the organizational briefing about the Salkantay Trek. Eventually, we are entering the hotel room and honestly, it’s an adventure for itself. I should have known that three stars in Peru aren’t comparable with European (or western) standards. The first thing we see, are the walls held in a brown tone wich reminds me of…poo. Two of the them are covered with a mural paining of an unknown artist showing Machu Picchu and mitigating the ugly color of the wall paint. Adjacent to the beds there is a nightstand in the same ugly color like the wall paint and on the opposite side of the beds there was a simple TV table. Right next to the door the is a small wardrobe and a luggage rack, both in the same ugly brown tone like the other “furniture” and the walls. In total, the interior fittings are looking like someone from the neighborhood nocked them togehter. The air in the room and especially in the bathroom (which is by the way as adventurous as the hotel room itself) is dank, and by entering the room we are noticing that airing is not the matter for the boss. That’s why the belinen are also dank and feel pretty unplesant. For that reason, we decide to sleep in our sleeping bags. A glance out from the window gives us a view over a dilapidated parking place. A young man is sitting at the cash desk and issuing handwritten parking tickets. On closer inspection we are noticing that this is a guarded parking place and that’s why we see there mostly vehicles which are more expensive and in a good condition. After this little “culture shock” we decided to go towards downtown to see if we can find a restaurant in the proximity. After 10 minutes of walking, we took the best one we could find because we were tired because of the jet lag. That’s why we didn’t spent a lot of time there and went back to the hotel as soon as we could. If someone is asking why we didn’t eat at the hotel – the hotel had no restaurant. 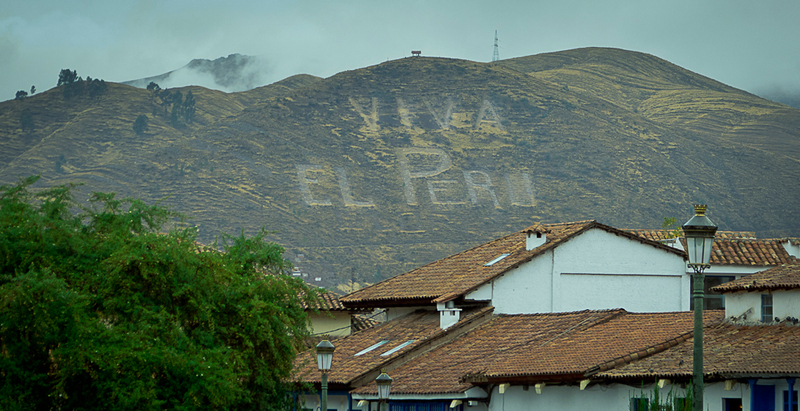 While I am lying in my sleeping bag and falling asleep, the last picture I see before my inner eye is the hill we saw earlier with huge letters “Viva El Peru” and the young lady from the travel agency who gave us the briefing. 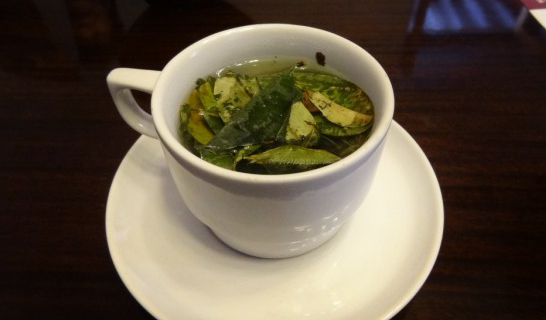 I hear her saying again: “When you eat coca leaves, you feel, like you can fly”. Click here to read the second part wich is about one acclimatization in Cusco.